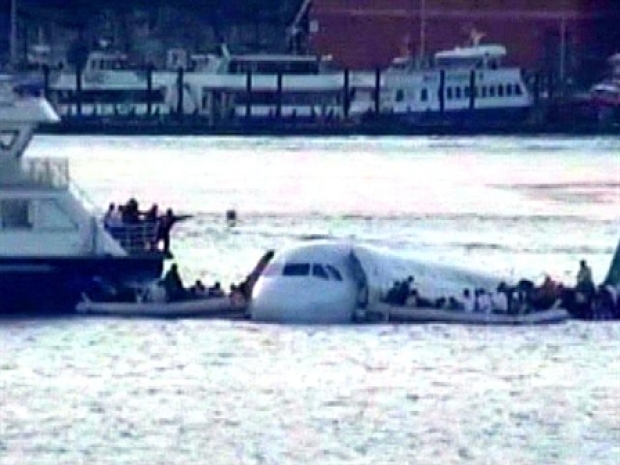 New footage captures the "Miracle on the Hudson." 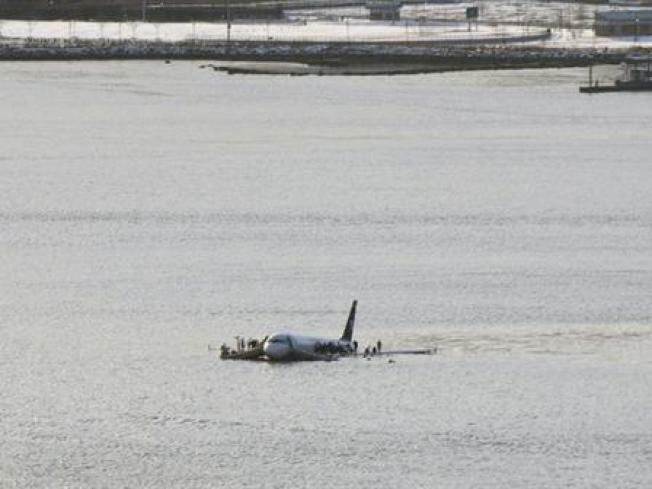 The U.S. Coast Guard has released remarkable footage of the moment U.S. Airways Flight 1549 landed on the Hudson River. After capturing the plane’s descent into the Hudson's frigid waters, passengers can then be seen moving on-board the Airbus A320’s wings. Rescue crews then converged on the scene and began to carry all 155 passengers to safety. Meanwhile, the search for two missing engines from a jetliner that landed in the Hudson River is expected to continue as investigators plan to carefully hoist the damaged plane from the water. Video released by the New York City Mayor's office shows the moment US Airways Flight 1549 lands in the Hudson and the rescue of the stranded passengers from its frigid waters. The engines were lost when US Airways Flight 1549 splashed down after colliding with birds. The engines are presumed to have been carried somewhere by the river's strong ties — but where is a mystery. U.S. Army Corps of Engineers vessels and city police department boats are to resume the search Saturday. Investigators called off a search for the engines Friday after becoming stymied by thick mud, swift tides and bone-chilling temperatures. Authorities say they plan to extract the aircraft Saturday with a pair of big cranes and put it on a barge, where it can be inspected.